At Dot Foods and Dot Transportation (DTI), we take pride in how much our employees give back to their local communities. Our founders, R.T. and Dorothy Tracy, have been investing in their community since the founding of Dot Foods in 1960. That being said, we also know how tricky it can be for drivers who are only home a few days a week to be involved in community service. Our nation, for many years, has been known for our fast-paced society. As exhilarating as speed is, it is responsible for approximately one-third of traffic fatalities. 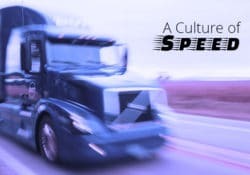 It has been established that a 50 percent increase of speed from 40 mph to 60 mph intensifies the energy given off by a vehicle by 125 percent. Vehicles are not manufactured to handle that much force. Achieving a gender-equal world requires social innovations that work for both women and men and leave no one behind. At Dot Foods, we take pride in the stability we offer our employees and their families. 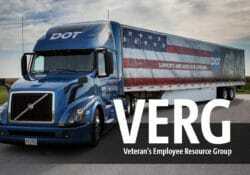 Since Dot’s founding in 1969, we have never had a layoff. Not once. 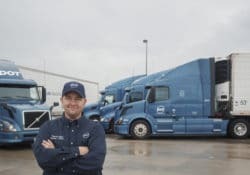 From salary and benefits to weekly home time, right down to the equipment our drivers drive, Dot Transportation, Inc. offers a great lifestyle and reputable job security—no matter your particular driving experience. The story of two Dot employees who made career changes and hit the road. 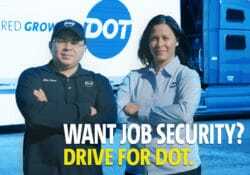 Interested in driving for Dot? Click here to learn more!